The countdown to Air Max Day continues, and we’re taking a closer look at some of Nike’s hottest silhouettes. Next up? The Air Max 270. Wanna know all the deets? Launching early 2018, the Air Max 270 is Nike’s first trainer to use Air built purely for lifestyle, not performance. Initially, the 270 was going to be a mash up of both the Air Max 93 and the Air Max 180. As for the name, these sneakers were first dubbed Air Max 273; the sum of the icons the design gave a nod to. But, as time went on, the design team (led by Nike’s Senior Creative Director, Dylan Raasch), moved away from this to take DNA from a handful of silhouettes – creating a brand new sneaker. Not a hybrid. 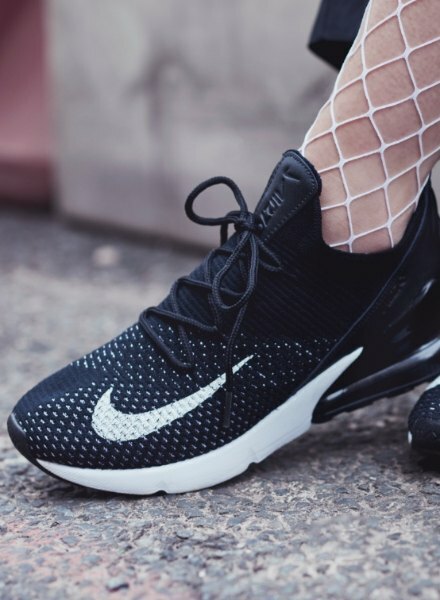 The Air Max 270 is built with a new, engineered mesh upper that’s sleek and breathable. Created by Nike footwear designer, Marie Odinot, she wanted a shoe that was clean and simple, but not ordinary. Giving you a sock-like fit, the modern textile upper uses rotated mesh, which boosts stretch and takes comfort next level. 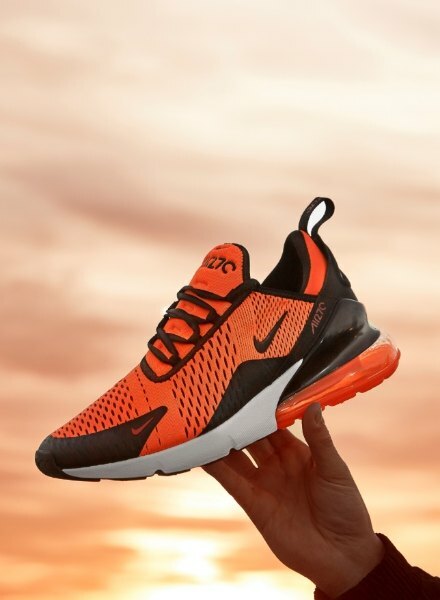 For the 270, Nike created a brand new Air unit, designed purely for everyday wear. 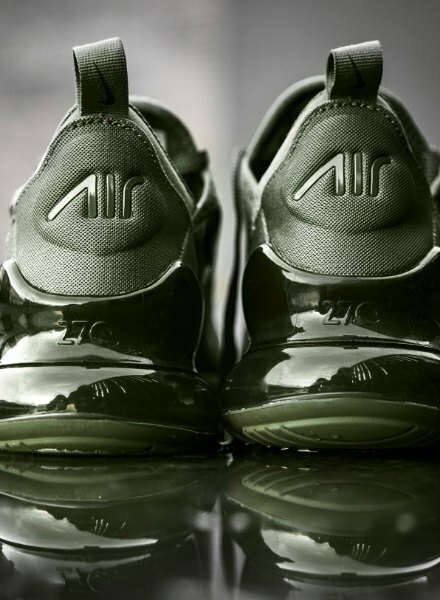 Standing at 32mm tall (their second tallest Air bag to date – recently knocked off the top spot by the Air Max 720), this Air unit gives maximum heel volume displacement i.e. maximum cushioning! This was the most challenging part of the design. In previous shoes, Nike’s Air unit was built for speed and performance so the unit needed to be smaller for a stable ride. However, Raasch’s design was 15% bigger than any other Air Max before it, taking Air up a notch to push comfort through the roof. With the sneaker flying out after launch, Nike wanted to step it up – giving the silhouette a new look with a Flyknit upper. One of Nike’s Footwear Product Design Leads, Jesi Small developed the refreshed upper. 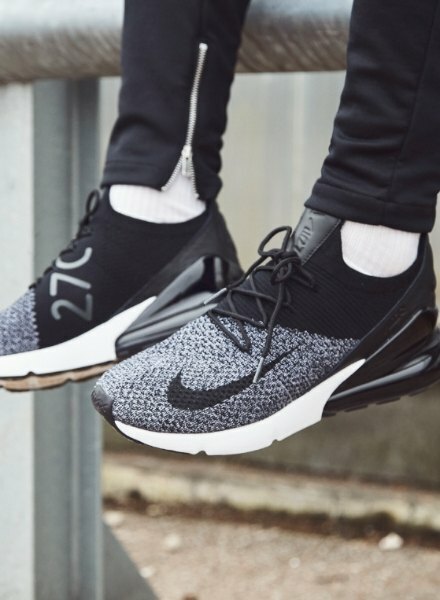 Known for it’s featherweight feel and sock-like fit, Flyknit fabric gave the 270 extra breathability, as well as the option to wear with or without laces. Most people don’t know that the laces aren’t essential! The tight knit upper gives you protection at the forefoot, as well as a structured feel for a locked-in fit. The perfect combination for an everyday go-to. Before launch, Golden State Warriors’ Kevin Durant got the chance to rep the Air Max 270. Seen wearing them in both November and December 2017, Durant started the hype, leaving people wondering when they’d be able to get their hands on the silhouette themselves. For the B-ball legend, Nike had to create their biggest Air unit EVER – in a huge size 18.